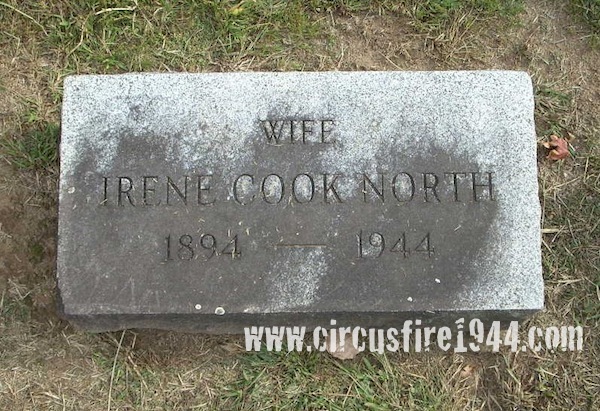 Mrs. Irene (Cook) North of 3 Linden Place, Rockville, was born August 24, 1894 in Millerton, NY, daughter of Jennie (Chapman) and William Cook. 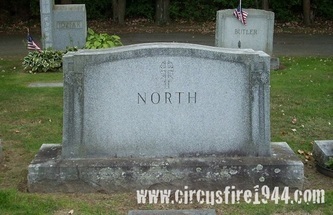 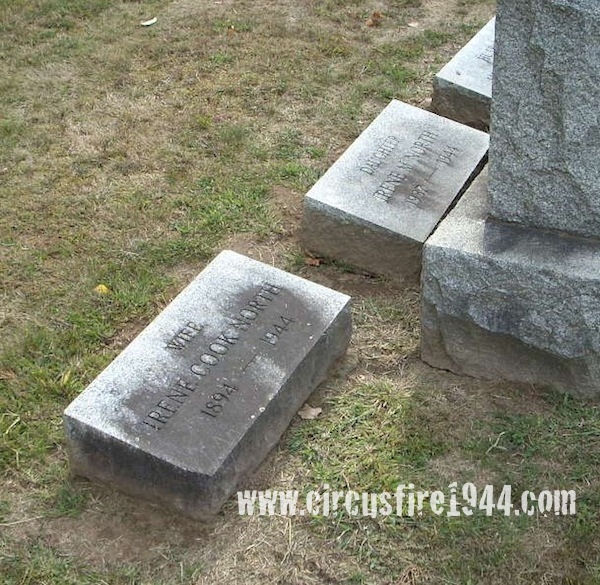 Both Irene and her daughter Irene, 7, were found dead at the circus grounds after the fire on July 6 and were buried at St. Bernard's Cemetery in Rockville after services at the Burke Funeral Home. 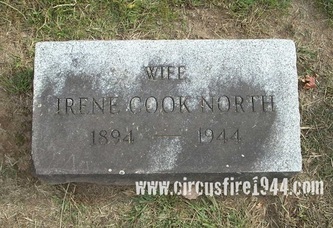 Irene leaves her husband, Henry T. North. 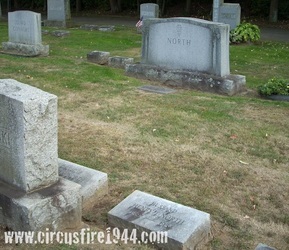 Body #1550 was identified at the State Armory as Mrs. Irene North by her husband on July 6. Her estate was awarded $8,000 by the arbitration board.